Totokaelo and La Garconne have by far the best oxford collections. I have done you the favor of not posting any $700+ pairs, but BROWSE AWAY. Ooh, I love the rose gold ones. There are lots of oxfords here, too. These are great and on sale. My favorite wedding in which the bride and groom wore brogues is this one. So cute. They may be "on trend," but I don't think they ever go out of style, ya know? I heart totokaelo so bad! finally got to visit their home base a couple of weekends ago during a trip to seattle and wasn't able to get out of there without a tiny memento. I got these and am officially in love. p.s. they come with 4 additional pairs of multi-colored laces so you'll never get bored- kinda what sold me. i've had a pair of those rose gold bad boys (or a similar DR pair) in a shopping cart for about six months now. 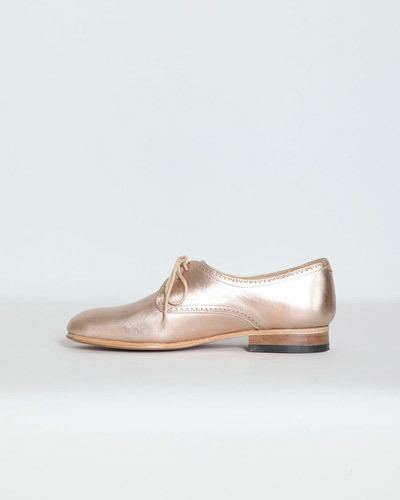 rose gold oxfords are the beeeeeest. i'd buy all those DR oxfords for the HEEL alone. 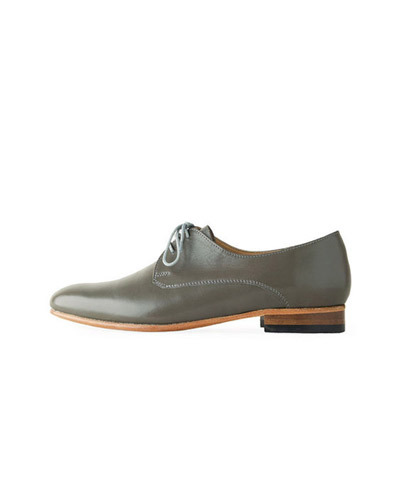 thoughts on oxfords for men? are you shopping for one? more like window shopping. he asked for clothing advice so, of course, i came to you.